Excellent article from Gareth Russel's blog, Confessions of a Ci-Devant. 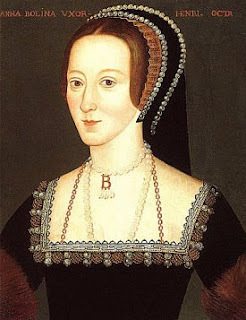 Like much about Anne Boleyn, the year of her birth is veiled in mystery. There has recently (the past twenty years or so) been a historian consensus that Anne Boleyn was born in 1501 based on the year she was sent to become a maid-of-honor in Archduchess Margaret's court in Austria. They dismiss the 1507 date as impossible. Gareth, however, sets forth some very convincing evidence supporting Anne's 1507 birthday, making her 28 at her execution. Read his very intriguing article to find out more!